After making their worst ever start to a Premier League campaign,Manchester United manager Jose Mourinho will need to strengthen his squad in January. United’s odds to win the league are now as high as 100/1 with free betting sites like 888sport, while bookmaker Betfred have the Red Devils as far as 11/4 to qualify for next season’s Champions League – a sign if there ever was one that Mourinho needs to bolster his current options as soon as possible. There’s been plenty of talk of player unsettlement but after a string of good results Mourinho’s men are starting to look impressive. Paul Pogba looked ready to leave in January but now looks settled and is currently 1/9 with Sky Bet to stay at the club, similar to Martial who is 1/7 with the same bookie to still be at the club when the January transfer window has closed. United have struggled to keep clean sheets so far this season but David De Gea shouldn’t take much of the blame, as he’s kept us in games on many occasions. At centre-back rather, despite a wealth of options, consistent errors have been made. Chris Smalling and Victor Lindelof have been the best pairing but United need an authoritative leader at the back as well as someone who can build-up play and bring it forward. Toby Alderweireld at Tottenham would provide such a solution and Mourinho came close to signing him in August, but missed out before the deadline. With the 29-year-old’s contract running down at Spurs also, Alderweireld might be available for a relative bargain in January. Another player who is running down the remaining months of his contract at his current club, Arsenal midfielder Aaron Ramsey will also be available for a cut-price deal in January or faces leaving the Emirates on a free in the summer. Back at centre-back, and 31-year-old Juventus defender Medhi Benatia is currently out of favourite with the Old Lady, but Mourinho is an admirer. 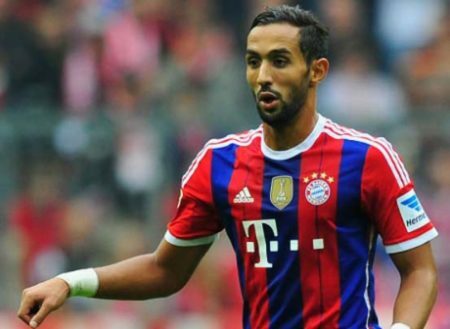 The Morocco international has publicly criticised his lack of opportunities in Serie A and would be keen for a move, while despite his age, with only 18 months on his contract Benatia is another player that might be able to strengthen the side on a budget. If there’s a position where United need to strengthen other than centre-back, it’s centre forward, where Romelu Lukaku is in terrible form and Alexis Sanchez is non-existent. Anthony Martial’s return to the side and Marcus Rashford’s return to form have meant that United have not struggled for goals in recent weeks, but neither man is the number nine that this side needs. If Mourinho is willing to shop in Italy however, there’s a striker who fits the bill and would likely relish a move to Manchester. No, it’s not Cristiano Ronaldo, but 23-year-oldKrzysztof Piatek at Genoa, who currently tops the Serie A scoring charts. Piatek has netted 9 times in 11 matches for Genoa and the Polish international has a price tag of £35m, hardly extortionate in the current market. After joining the club, Mourinho spoke of his disregard for the transfer policies of his United predecessors and said, “I would never sell Chicharito”. So why not bring him back? Hernandez is still only 30 and doesn’t appear to be enjoying life at West Ham, so if United need a striker to at least give Lukaku competition if not replace him, why not look toward the Mexican?